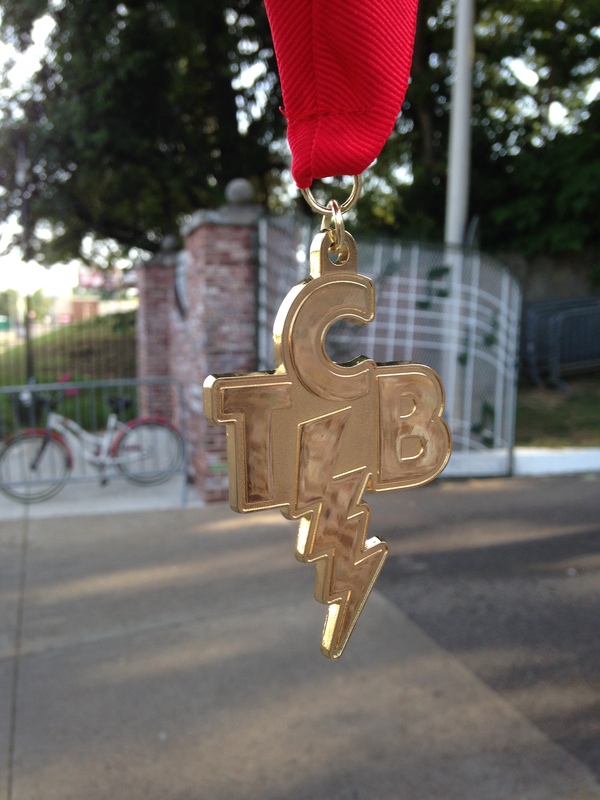 I feel like I have beaten the topic of the MRTC Road Race Series to death on this blog over the past few months, so what would one more post hurt? Back on January 10 was the winter party that celebrates the entire series, and I attended the party briefly that evening. 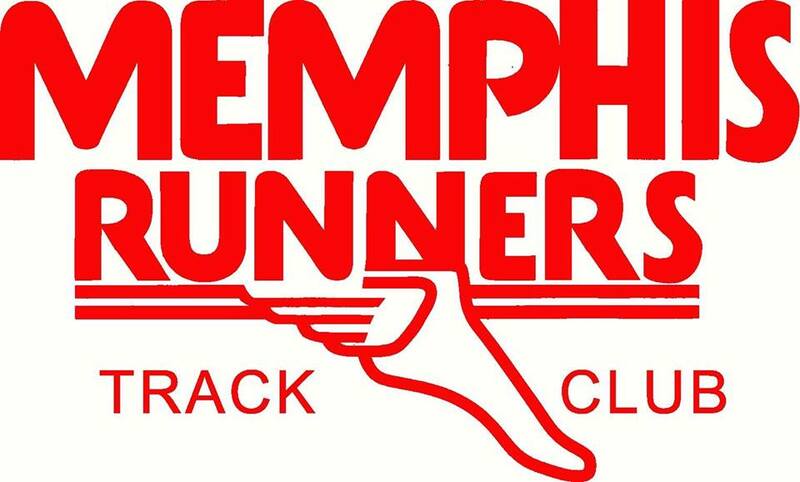 The party is where runners could pick up any swag that they might have earned and the yearly MRTC awards are handed out. There is a pasta buffet and beer available. If I were not traveling to Memphis from Mississippi I might have tried to make an evening of it. But with the travel and the large amount of people at the venue, I took my swag and left. I did, however, talk with some people who went and they enjoyed themselves even though there was a large delay in the food and beverage lines. But since I did not attend the entire evening, I am not going to review the party beyond this. 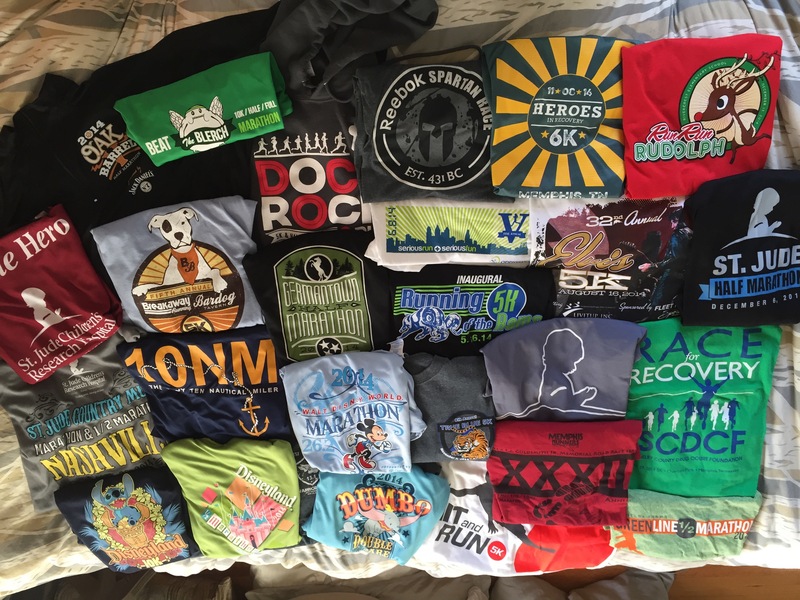 The swag changes each year for runners that qualify as a Road Warrior (complete all 10 races) or Series Finisher (complete 1 of each distance or 6 total races in series). 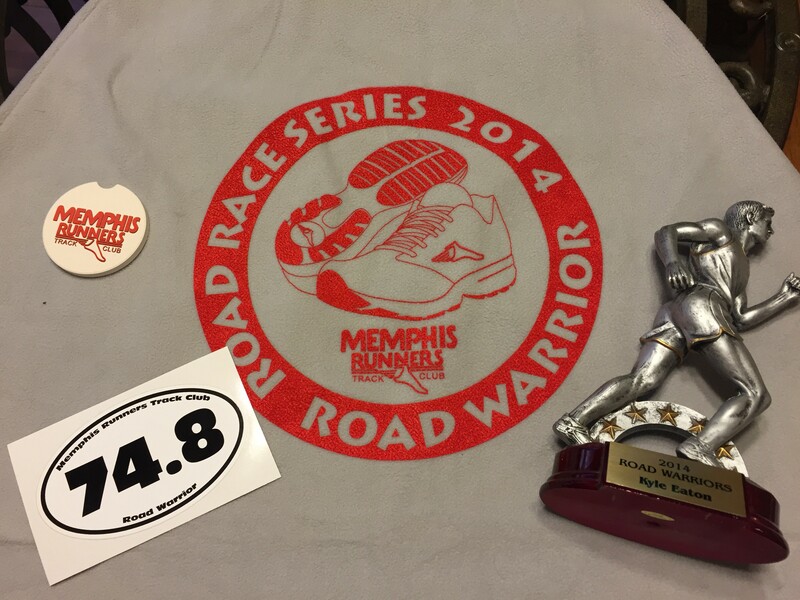 For the 2014 event, Road Warriors earned a seat cover, car coaster, trophy, and 74.8 decal. They did not have the decals at the winter party, and this was causing a meltdown for several of the people I know that earned it. It is a major point of pride and honor to display this highly coveted decal in the Memphis area. You endure heat, cold, rain, hangovers, travel, and dedicate four months to the series, so finishing is something runners love to show off. 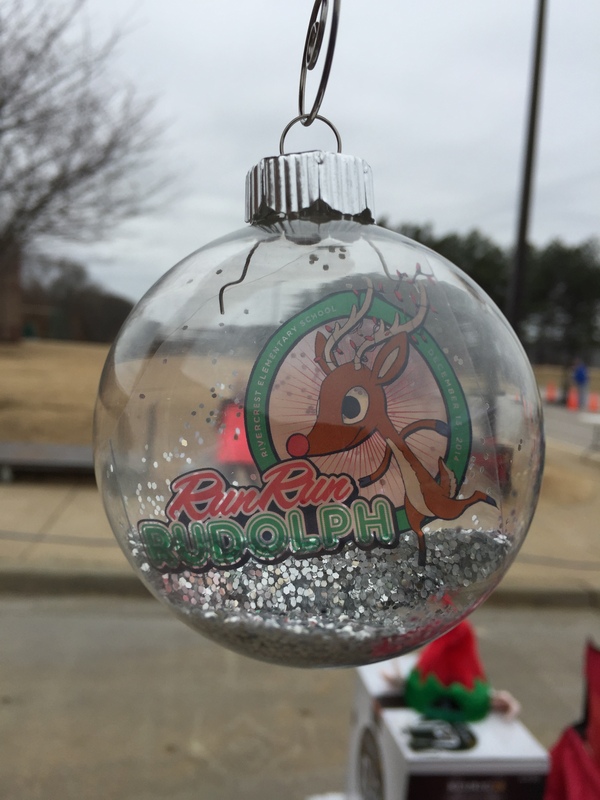 Thankfully, the decals eventually came in and were available for pick up once the rest of the race swag was made available for those who could not attend the winter party or if they arrived late to the winter party and the swag was gone. The Series Finishers received seat covers only. My initial reaction the seat covers was meh, but then when I started to think about it, I realized the value in the item. I usually bring a towel along for races to cover my seats after a race for the drive home. Now, I can use the seat cover, and not worry about jostling with the towel on the entire drive to keep the seat covered. 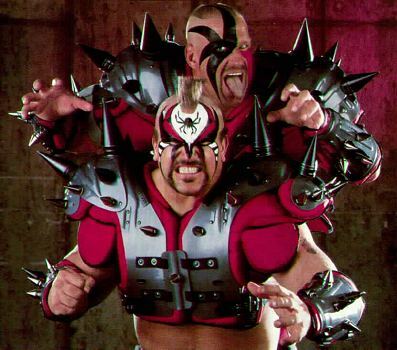 On November 16, 2014, my quest to become a 2014 Road Warrior was finally realized! And Mother Nature wanted to make sure that I earned this status. 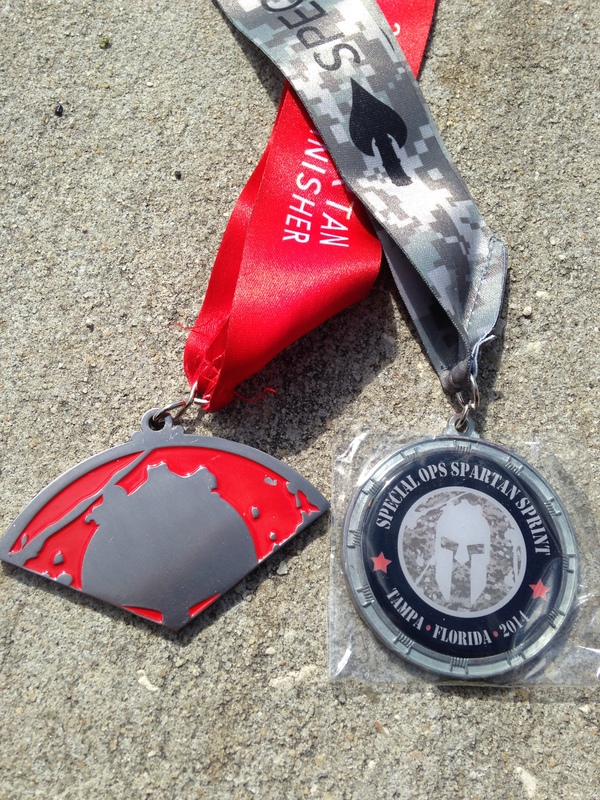 The final 13.1 miles of the 74.8 miles required to become a Road Warrior may have been the toughest. It was cold, very cold, with temperatures in the thirties, and a steady stream of rain for each and every mile. If I had not needed this race for Road Warrior, I probably would have stayed in my warm, dry bed. 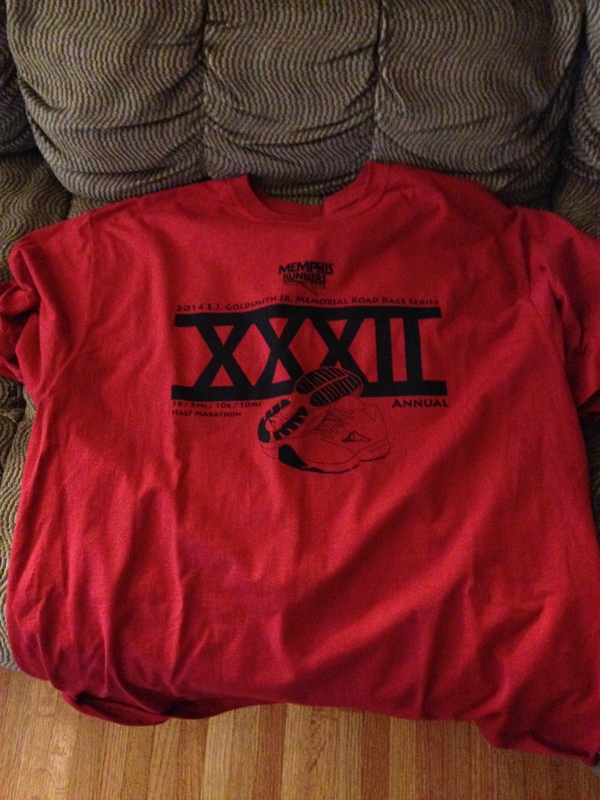 This is the timing chip for this year’s event. 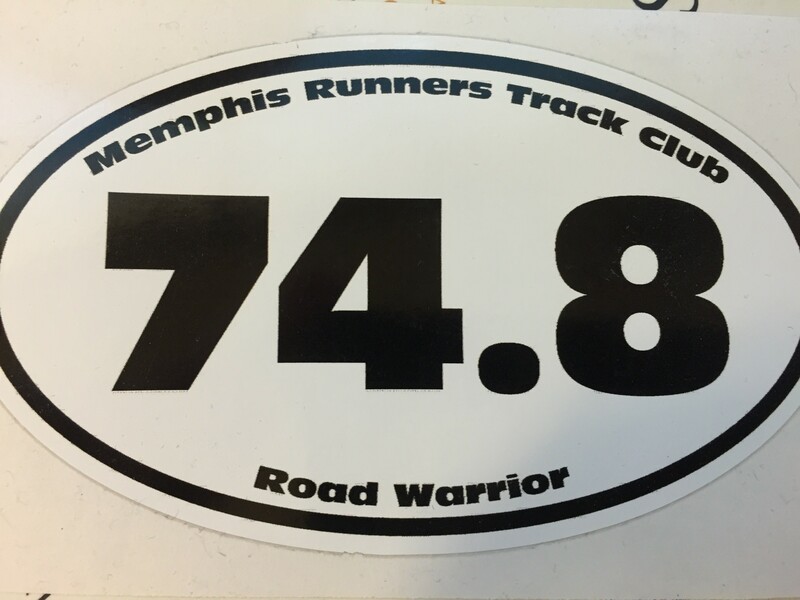 But despite the cold and rain, I completed the race, which was my ninth half marathon of the year, and fourteenth overall, and earned Road Warrior status in the process! 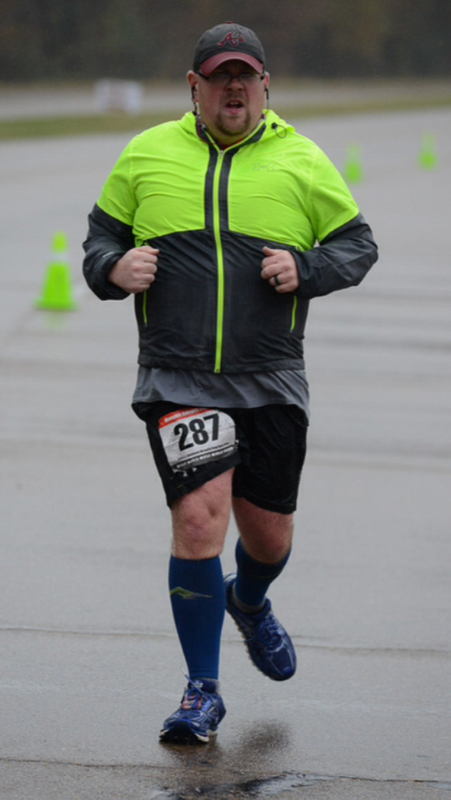 I was able to stay upright for the entire race, which I cannot say about the first MRTC RRS Half Marathon. I did, however, have some issues with my shoes and the course. The sole of my right shoe bunched up as the race progressed. At first I thought that I could endure the discomfort for the final two miles, but that was wrong, and somewhat stupid. I had to stop and take the shoe off to solve the problem, which is not ideal during a race. Hopefully this will not become a recurring issue. The course was narrow, with standing water in places, so there was plenty of puddle jumping throughout. I did not finish the race quite as fast as the previous one, but considering the weather and my shoe issue, I am still very pleased with my time. It was my median time for the year, and leaves me in a good position for another strong run at the St. Jude Half Marathon on December 6. 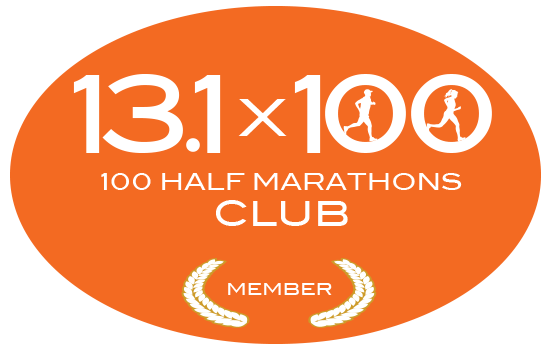 Like the previous MRTC RRS Half Marathon, this one had no swag, so I coupled it with a virtual race from another physically held half marathon. 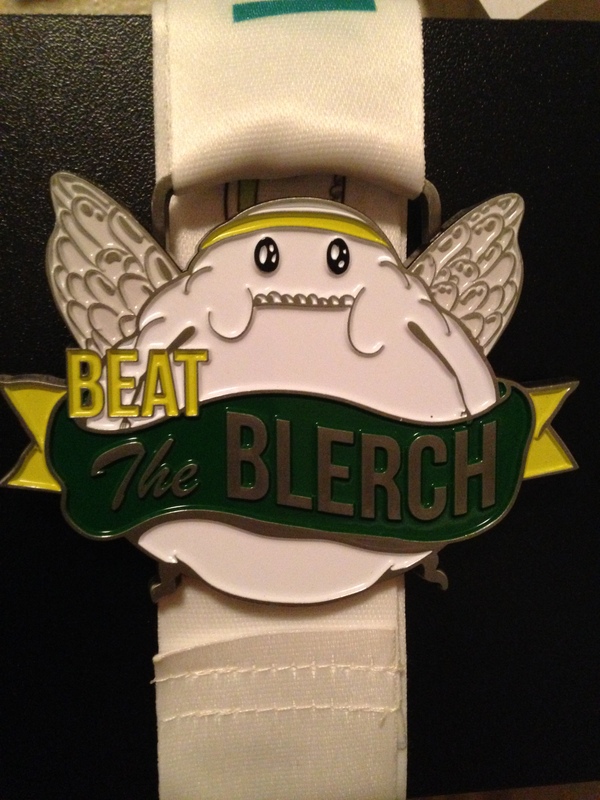 For this race, I used the medal and swag from the Beat the Blerch Half Marathon held in September. It was a race hosted by the author of The Oatmeal that has some fantastic cartoons about the struggle of running and weight management. For anyone that is unfamiliar with the comic, you should certainly check it out. You will be amused. And probably find something that you can relate to as well. 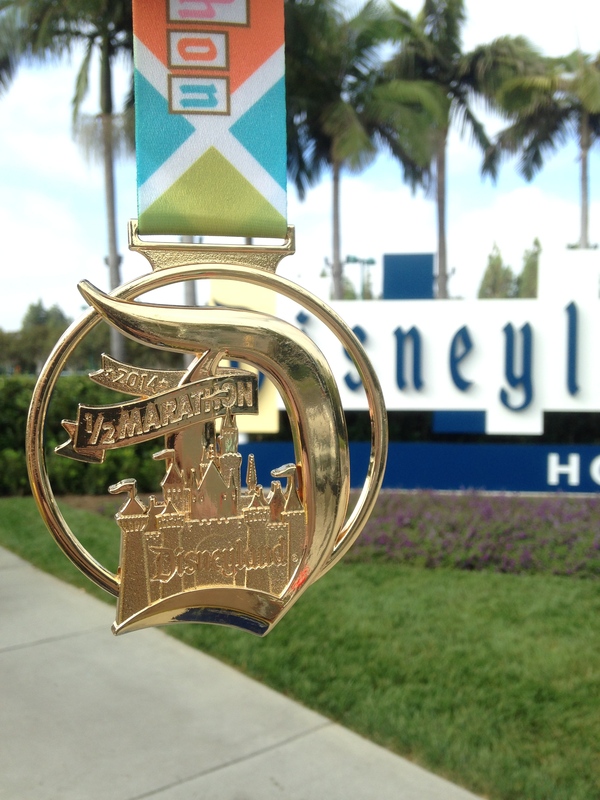 The race had distances of 10K, half marathon, and full marathon, as well as a virtual option for those runners that did not make the cut for the sold out event. Each had their own medal and the race shirts were great as well. 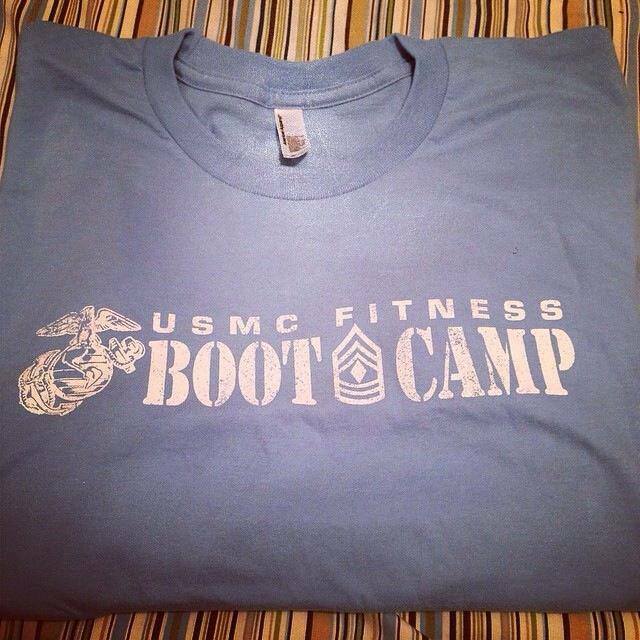 There is a cupcake on the sleeve, which is hilarious and motivating at the same time. 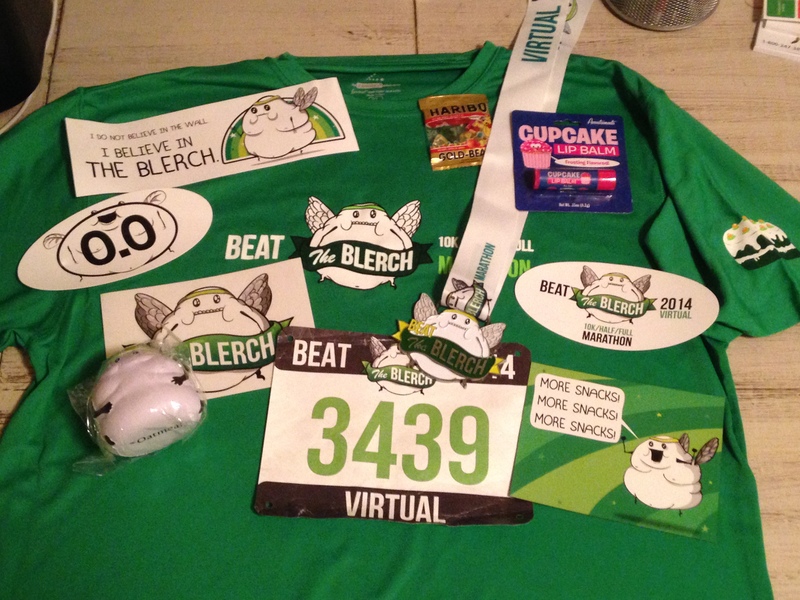 Participants also received three race decals,a magnet, stress ball,gummy bears, and cupcake flavored chapstick. It was a nice haul for a virtual race. It is hard to believe that I only have two races left this year, but I am going to go all out on both of them, that’s for sure! 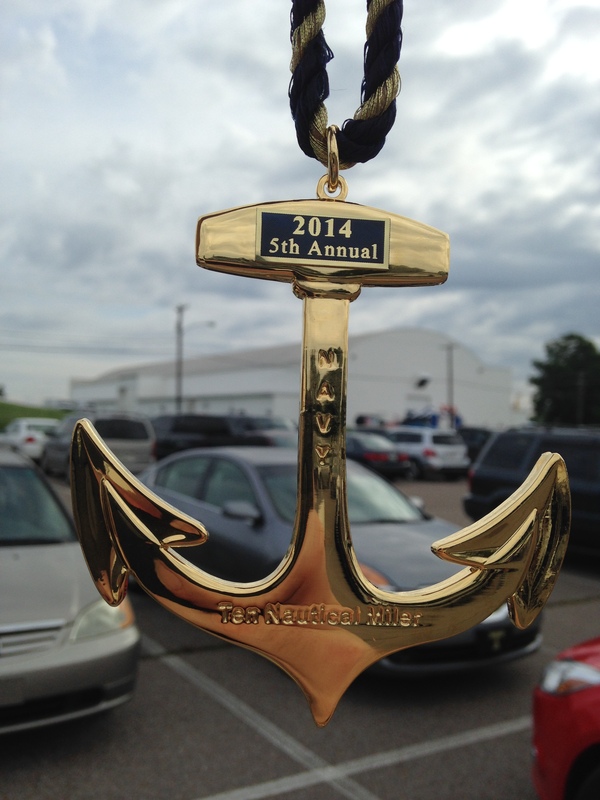 Last Sunday was the first half marathon in the MRTC Road Race Series. I would have posted about this race sooner, but it has been a long and terrible week. I will post about that later when I am mentally ready. 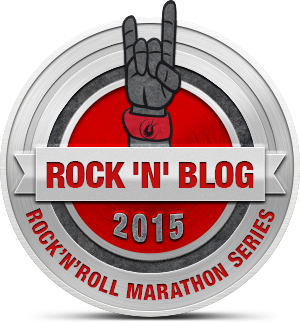 For now, a quick race review. This was race number 9 of 10 in the Road Race Series and I am 9 for 9 thus far. Just another 13.1 miles until Road Warrior status! 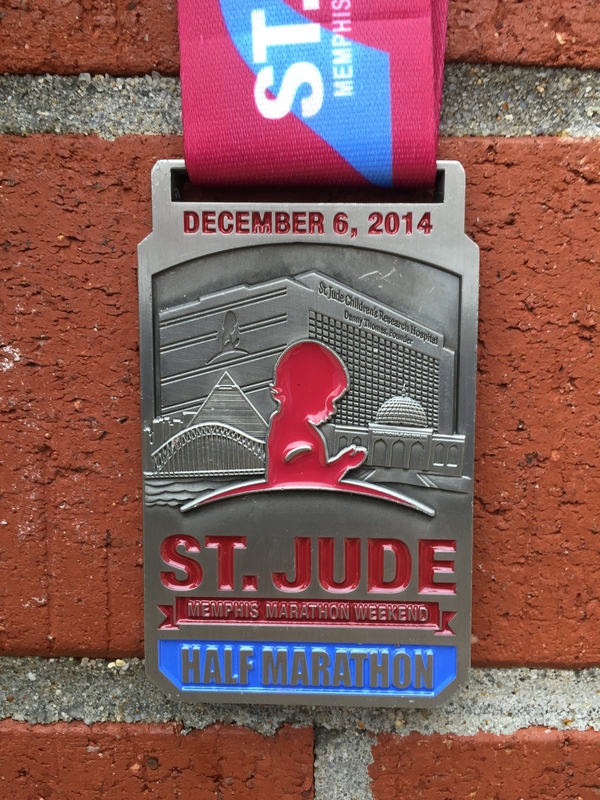 This race also was my eighth half marathon of the year, and thirteenth overall. This race certainly had the least amount of amenities of any half marathon that I have participated in thus far, but that was known coming into the event. 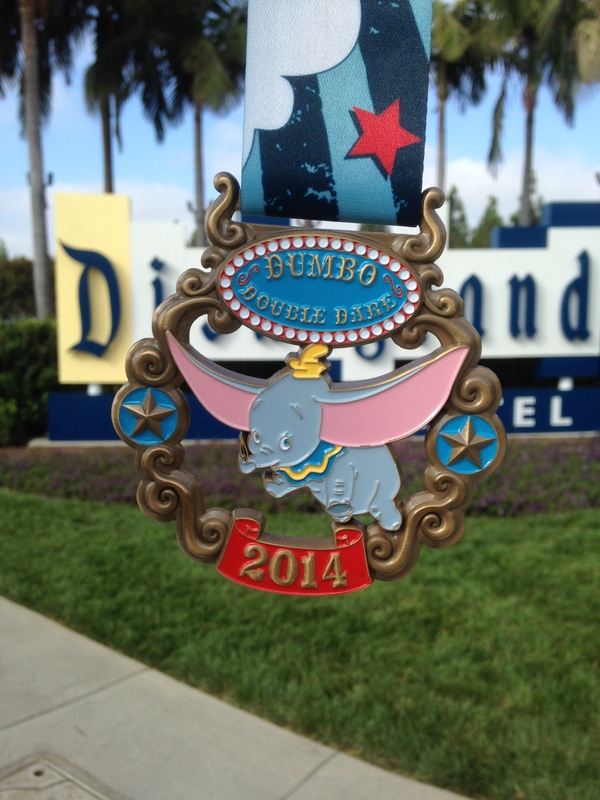 No electrolyte replacement drinks, no medals, and no extra race swag. 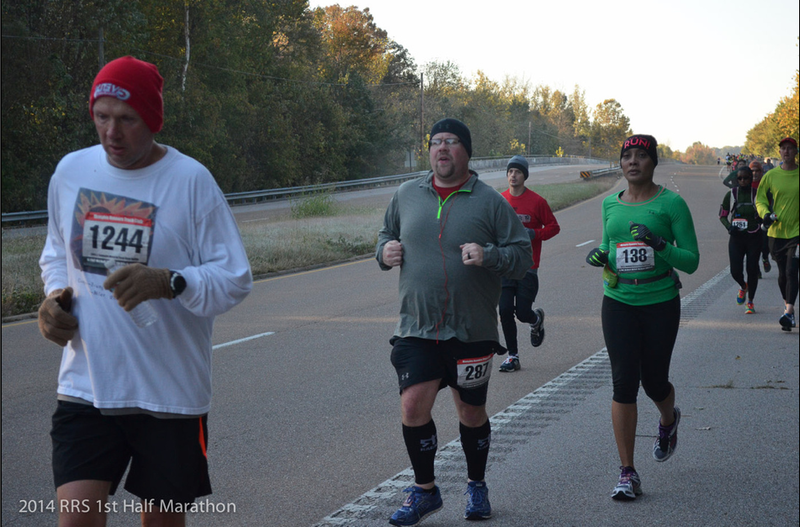 It was just a boring out and back course along Singleton Parkway from Memphis to the Millington Naval Base and back. It was a very cool morning, which helped with my run. I love to run when the temperature is in the forties, and my results typically reflect this. 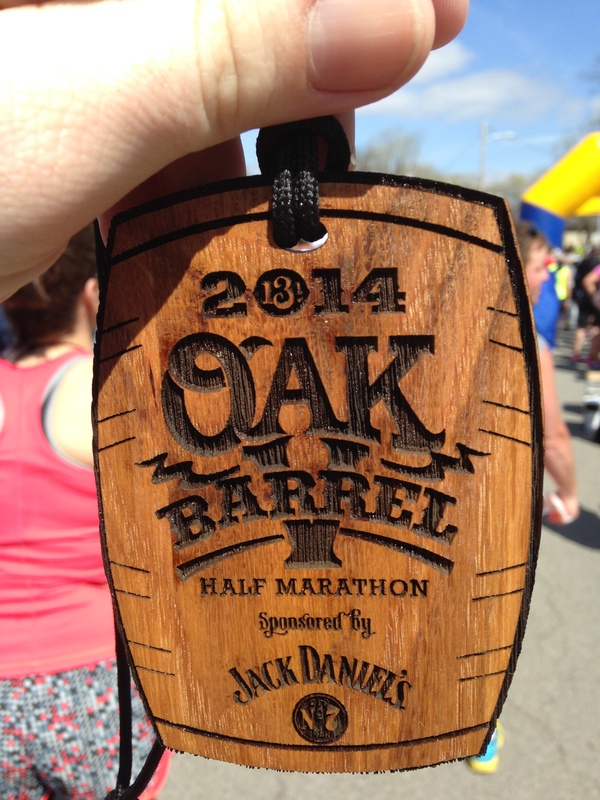 This was my fastest half marathon of the year (and third fastest ever) with a time of 2:16:04, and it felt great! 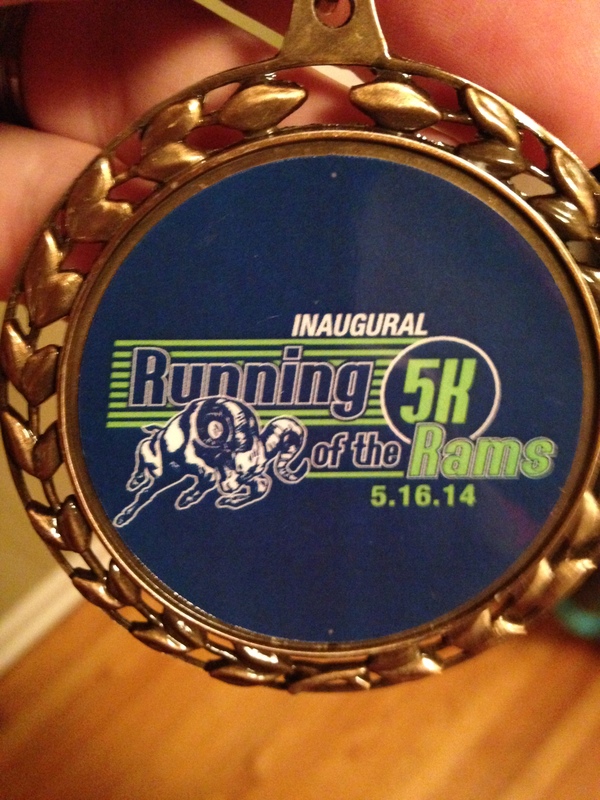 And this even included my fall around the halfway point of the course! This was my first fall while running in a long time, which is a surprise. Running along the cold course. 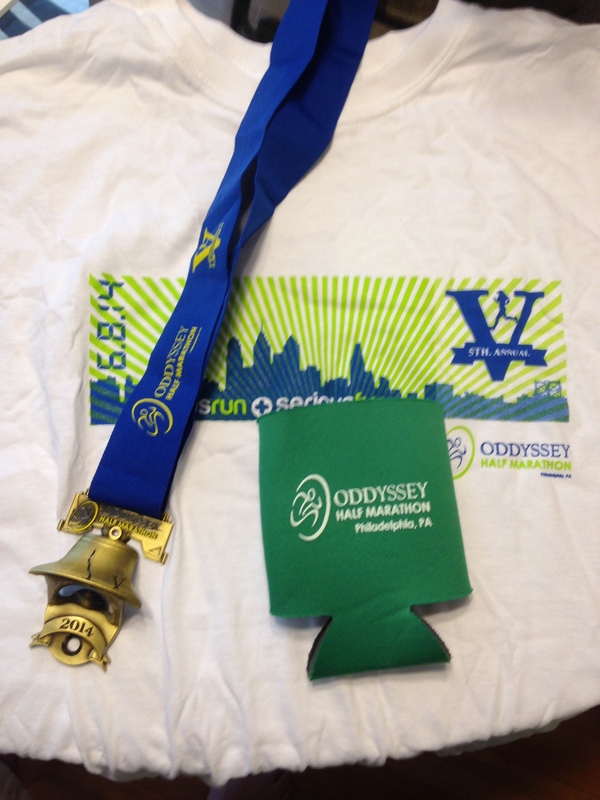 I have decided to include swag from a couple of virtual races into my two half marathons in the MRTC Road Race Series. Basically, I found two physical races that offered virtual options, and did what I needed to do to qualify for the events. 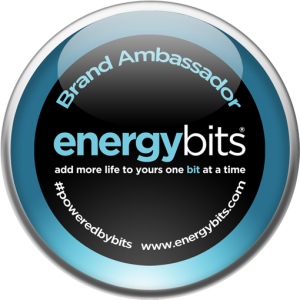 Then I just but the medals away until each half in the Road Race Series, then I awarded them to myself as if the race awarded the medal. 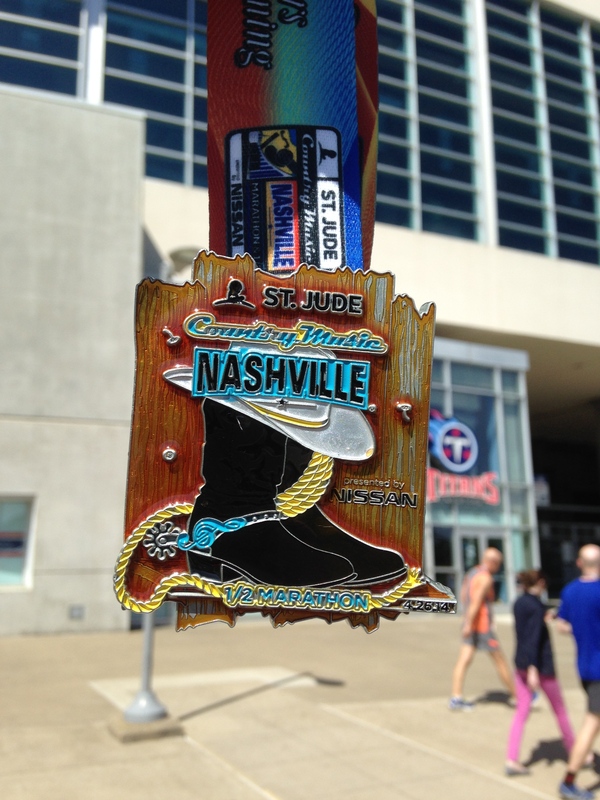 I still ran the miles for both events, but now my medal rack accurately reflects the number of completed events by me. 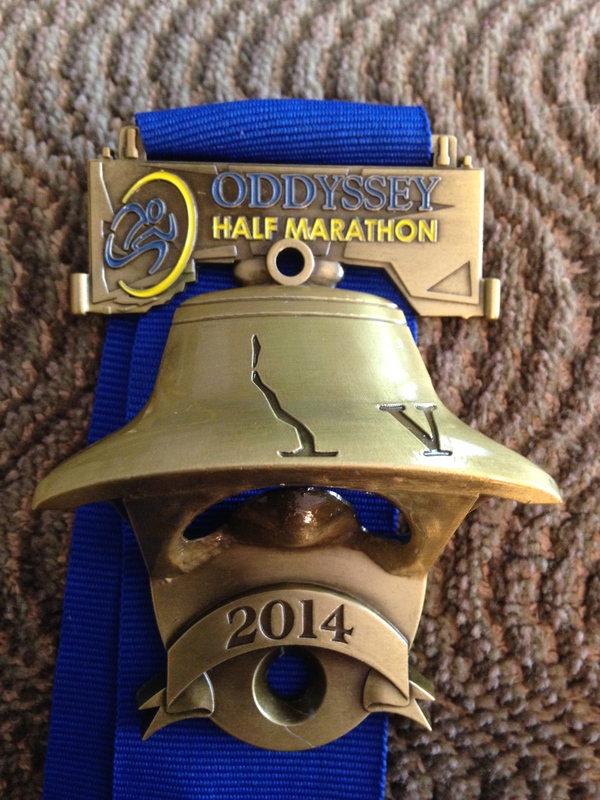 For the first half, I used the medal and shirt from the ODDyssey Half Marathon. 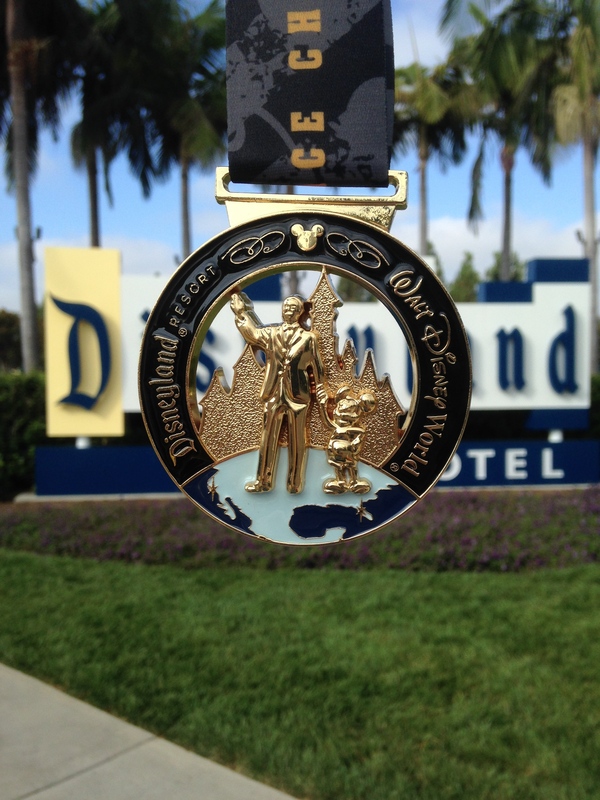 You probably have seen the medal from this event since it is already popping up on the best medals of the year lists all over the place. It is a mountable bottle opener, which is awesome ans quite unique. 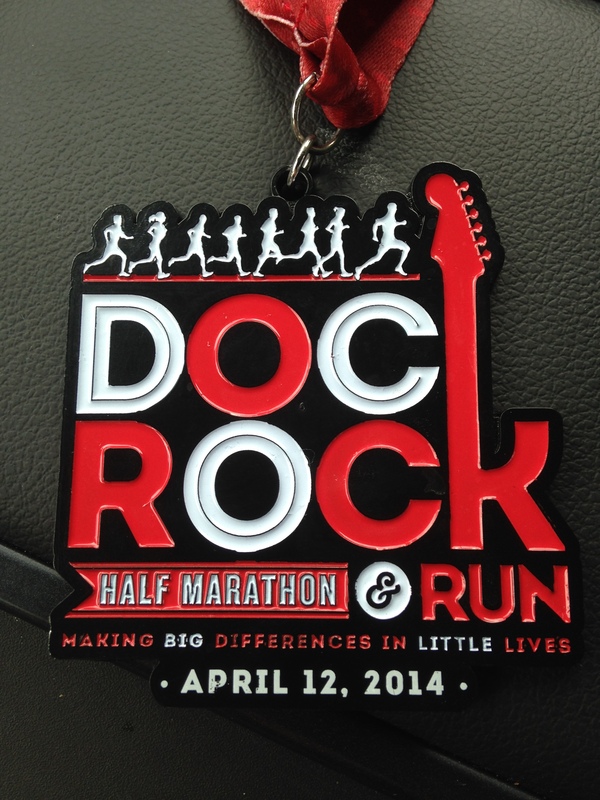 I ran the 13.1 miles for this medal back in July, but waited until last Sunday to “award” it to myself. All and all, it was a good day of running, but I am very happy that there is only one more race in the Road Race Series. 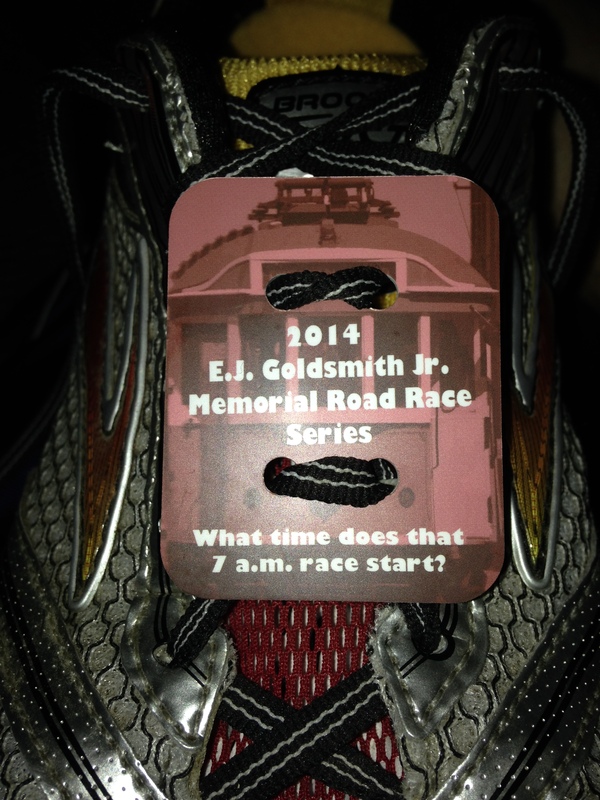 Sunday was the second 10 miler in the MRTC Road Race Series an it was not my best running effort. I was going on two hours of sleep due to the Ole Miss and Tennessee game and the nightmare traffic following the game the previous night. It ended up after the race that I spent nearly as much time running as I did sleeping during that twenty-four hour period. I was very proud to finish in the upright position, injury free. This was my second close call at losing Road Warrior status. It would have been so easy to turn off my alarm ans just sleep through the morning. I am happy that I fought that urge and got motivated to make the forty-five minute trek to Shelby Forrest to run the hills. 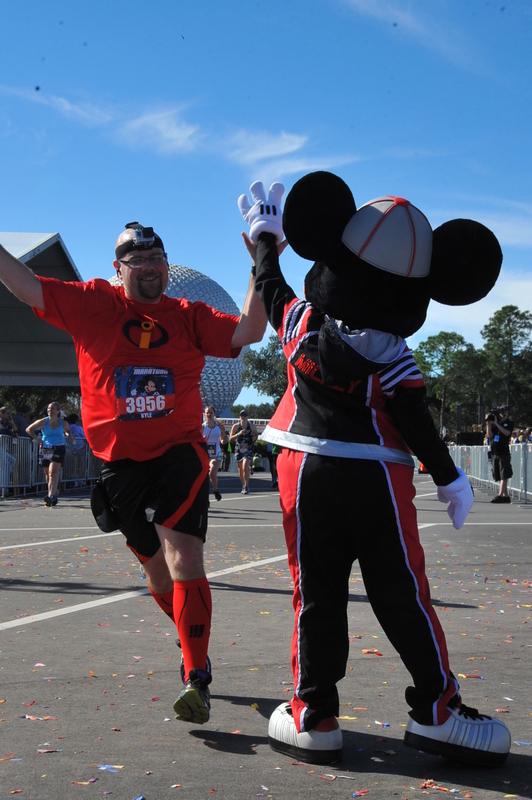 All that stands between me and Road Warrior status are the two half marathons for the series on November 2 and November 16! Sunday was race number 7 in the MRTC Road Race Series. 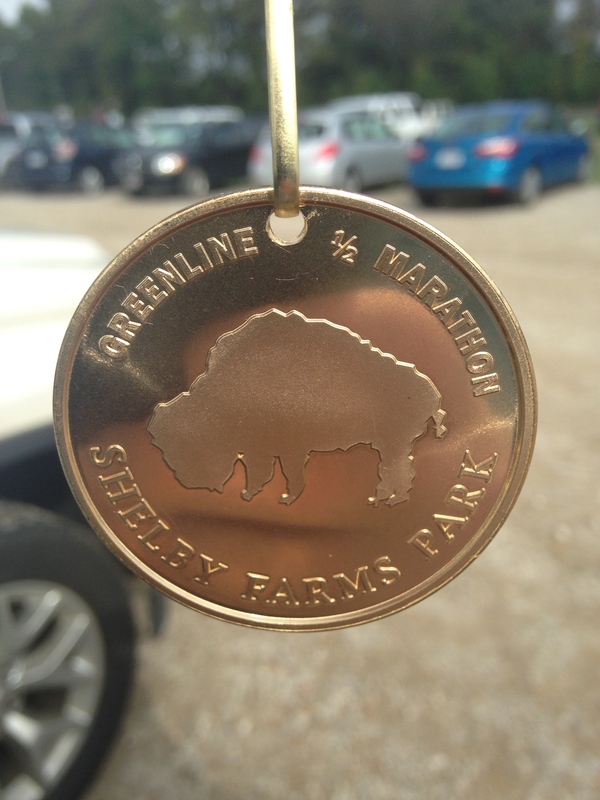 The race was the first 10 miler of the series and was held at Meeman-Shelby Forrest State Park. The park is a well-kept secret in the Memphis community, partially because of the location. The park is in a remote part of the county a good 45 minutes from my house. When I arrived, it was still pitch black and cold. A severe 180 from the first 6 races of the series. I was not complaining about this. I think that this race is where people start dropping out of contention for the road warrior designation. The race was noticeably smaller than the 10K 2 weeks ago, and I noticed on the results page that number of runners that have completed all 7 races has dwindled down into the 700’s. The course is billed as the prettiest in the entire series, and I would agree with that. The entire race is on the service roads and trails in Shelby Forrest, with quite a bit of nature’s scenery. Most years the leaves are already changing for this race, but with the warm September that we had, the trees were still very green. The course is certainly hilly, with a very steep hill between miles 9 and 10. It was so steep in fact that the trail was actually a switchback so we could make the climb. 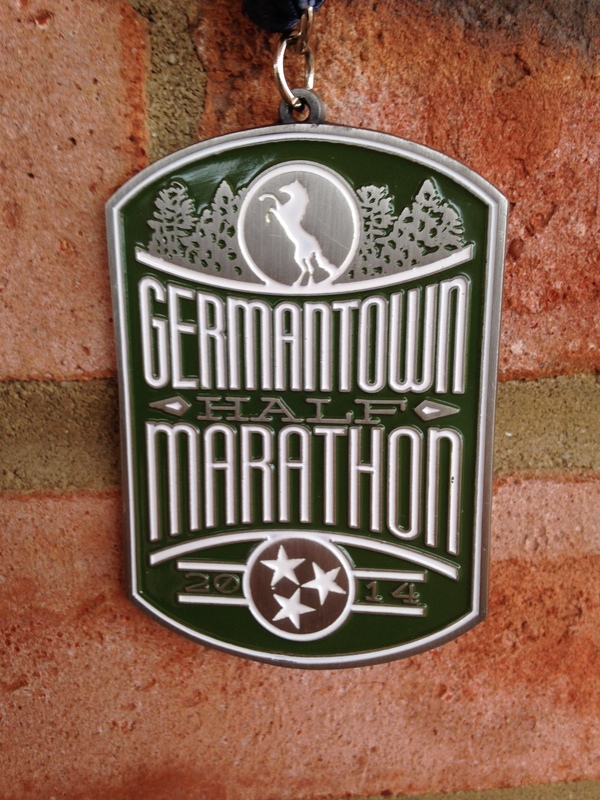 At the end of the race, I was still feeling good, and I am certain that the cooler weather helped with that. 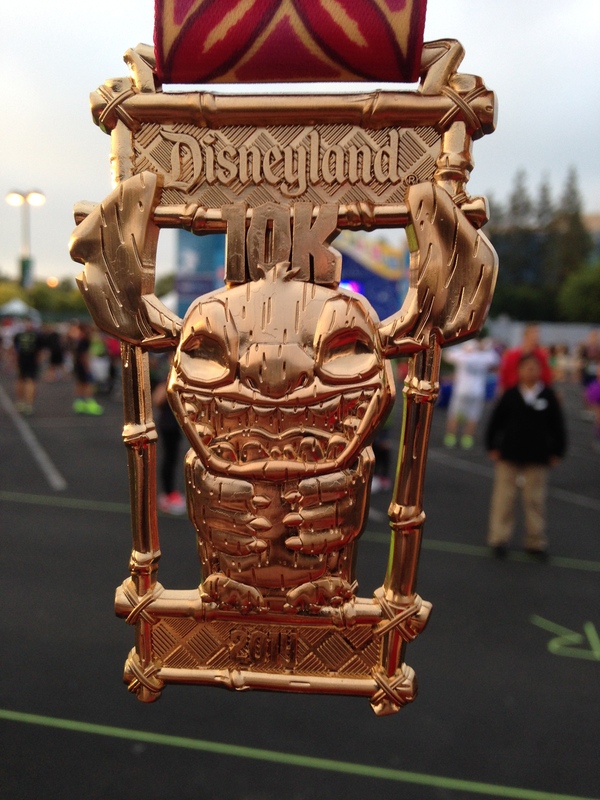 Also, since this was my first 10 mile race, it was an instant PR, which is always a great thing! Sadly, this race, the last 10K, and the next 10 miler follow long days of watching and tailgating for football, which leads to less than ideal running prep. I cannot wait until the next race since I know what to expect from the course and hills. 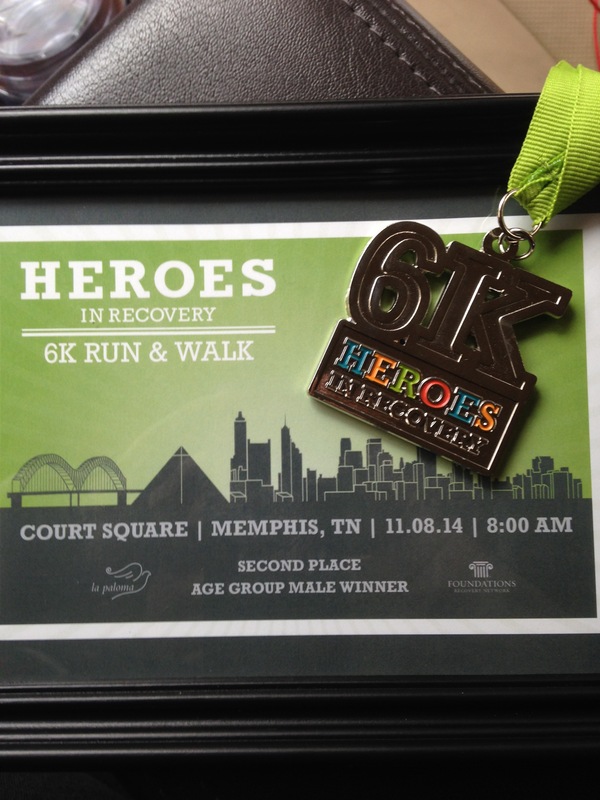 Maybe I can edge out my time from this past Sunday. 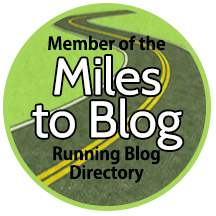 It has been several days since the second 10K in the MRTC Road Race Series, so I think I should go ahead and write-up my race recap. There is nothing new that I can really add to this recap that was not covered in my recap for the first 10K. Parking sucked, it was a crowded course at the start, and it was hot and humid (a theme for the series as a whole). 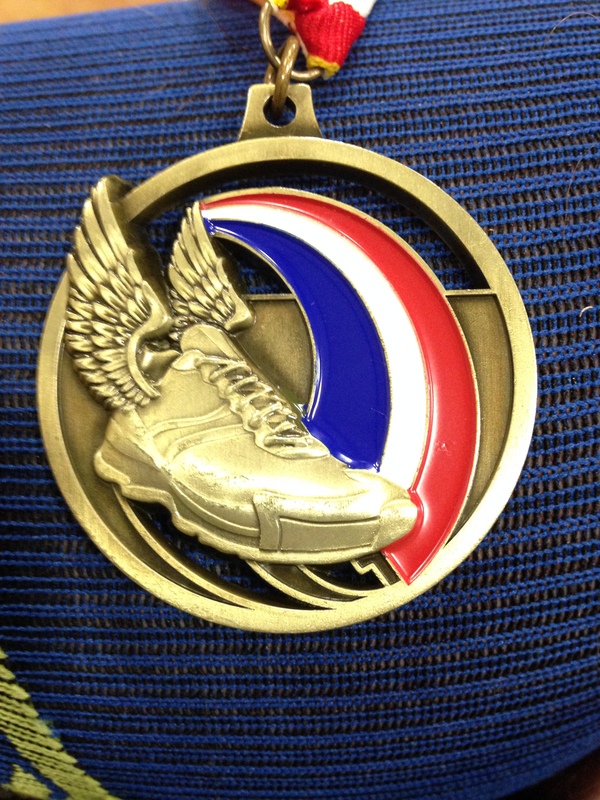 I did not run quite as strong for this race as the previous one. 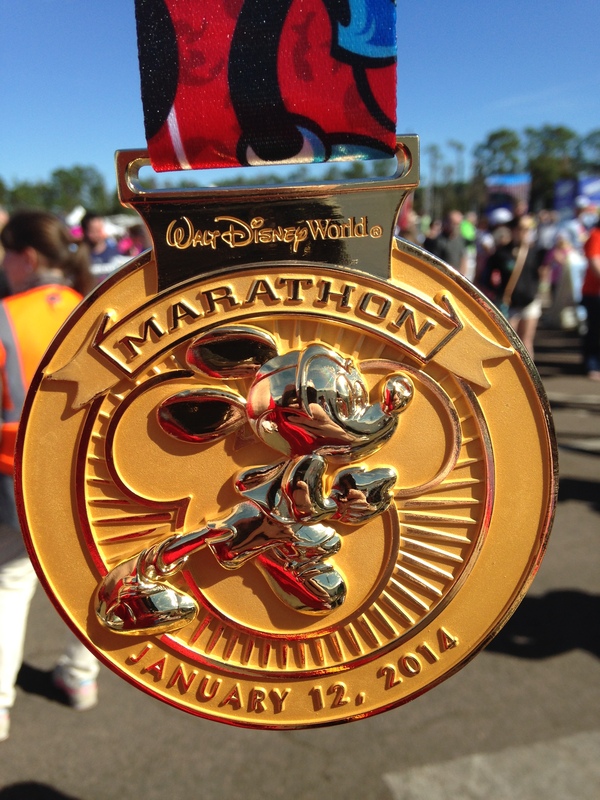 I finished roughly three minutes slower for this race. This could be contributed to the up tick in humidity and my attending the Memphis football game the previous evening. The football game may have involved a few adult beverages, and I certainly was not in prime running from at 7:00 am. The series is now 60% completed, therefore I qualify for the series finisher’s item and I am staring down that road warrior status. Of course, I have only completed 28.6 of the 74.8 miles required to gain road warrior status, so there are still some miles to log!